Want to design your own app? Here's all the stuff you need to get started. All the retina-ready and UI-optimized graphic elements you'll need to create your very own app. Brick&Mobile focuses exclusively on mobile marketing solutions. At the core of our product suite is our proprietary Mobile CMS, a flexible mobile content management system that allows anyone to create and maintain a custom-branded mobile website. Features include modules that allow various types of media to be combined into a flexible mobile web app that works on ALL phones, including iPhone. Android, BlackBerry and Windows phone, with advanced SEO capabilities. Brick&Mobile offers full training and first-level support to maximize the success of our reseller networks. Promote niche specific mobile directory listings for small local businesses. directories appear in iTunes and Google Play app stores. Listees have one click phone connection, service description and link to website along with getting pinned to GPS enabled map. You get a two tier structure, 365 day cookie and recurring commissions. You can promote offline too! New directories published each month. • Best Coverage in Tier 1 countries! Sign up today to get access to our exclusive offers and make great profit. Maximize your blog or website revenue with the new Shoptoit Marketing Platform Affiliate program. Sign up today to help businesses reach new customers and drive sales with Shoptoit’s Automated integration into Google Adwords to help more than 40 million small businesses not currently benefiting from mobile marketing. Become a Shoptoit affiliate today and earn cash while helping businesses thrive! The Shoptoit affiliate program offers a unique way to create a passive income stream that will keep on growing over time. There is no cap on your monthly earning and you will get all the support you need to attract referrals so that you can succeed in creating a lucrative passive revenue stream. We even offer a second tier affiliate commission structure that will allow talented affiliates to keep earning when they share the program with others. Getting started is easy. Sign up on our website and we will send you everything you need to start earning today. Attractive banners, accurate tracking and ongoing support will help you create a secure recurring revenue stream from your blog or website. ShoutEm is a mobile platform that enables design, publishing and management of native iPhone, iPad and Android apps - without any knowledge of coding. It uses an easy to use (drag & drop) interface, has a variety of tweaking options and preview in native preview app - for both iPhone and Android. It’s a first-class mobile experience with minimum effort and low cost. Shoutem affiliate programs pays on fixed commission - $150 per every new paying customer. The best pages for offering our product would be app development marketplaces, media services that connect the app industry, and similar. mSpy is one of the most popular monitoring application for mobile & desktop devices. We offer one of the best, highly paying affiliate program among monitoring software developers. We are paying 50-70% for every mSpy license sold through affiliate id. 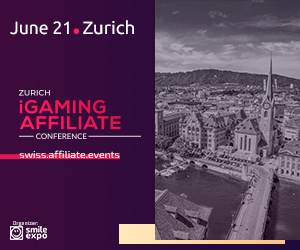 Here are the main benefits of our affiliate program: - $95.5 average sale; - 120 days cookie life; - 200+ promo tools; - real-time statistics; - weekly payments and dedicated support. Some affiliates are making as much as $30,000 per month with this ground floor program. Get your own unique promo code and offer the best rates in the industry, features that aren't offered by other services an affiliate dashboard that is easy to navigate, links that can be traced, banners, and other promotional material, dashboard for you to administer and monitor your performance in real time, a design team that can help you create customized material for your marketing campaigns, online demos and training videos provided by an experienced representative, and much more. Mojiva offers robust tools for content publishers, advertisers, and ad sellers. Mojiva's market-leading mobile ad platform provides solutions across the entire mobile advertising ecosystem. Location Based Advertising on a flat rate basis! Deals Nearby You is a mobile app that help users find great local deals wherever they are. Retailers, restaurants ect. can buy a subscription and publish all the deals they want to a fixed monthly subscription. DealsNearbyYou.com affiliate program is free and enables members to earn revenue by placing a link or links on their web site. Any sales made to advertisers who have clicked on those links will earn the affiliate commission. The standard commission rate is currently 30% of the montly subscription the advertiser pays. JailbreakWizz Phone Unlock Our affiliate marketing system works very well for the content of your website and hence we are reaching out to you. Our program has very good conversion rates. We unlock mobile phones from different manufacturers on different networks around the world. Best part is that customer can place an order directly on your website. You get $10 for each unlock that comes from your site. If you have sub-affiliates under you, you get $4 for each unlock that comes through them. They still get $10. Join Here. We offer a high quality jailbreak affiliate program. $18 per sale (highest available). Jailbreak and unlock traffic for ALL iPhones, iPads and the iPod touch. We sell unlock codes for mobile phones. If your mobile is not accepting the SIM card of a rival network, we can help you to remove this restriction. We can provide you with a unique unlock code which you simply type via the keypad to remove the lock. High commission and high conversion rates for affiliates. Finding a profitable mobile offer just got a whole lot easier. With OfferMobi, the 1st US based mobile affiliate network, affiliates have access to a variety of click to call, pay per install, pay per lead, and pay per sale offers that finally bring about the full potential of the mobile market. OfferMobi provides unrivaled tools, training, and professional tracking to help you get started and maintain your maximum earnings potential. Sign up today! Mobile App Marketing is Booming! This innovative software lets affiliate marketers turn their site into an Android App without code. Android apps have several advantages over iPhone apps as it is easier to upload many apps and there is no time consuming approval process. The basic theory behind this software is to put out free apps in niche markets to build your email lists. Then use the usual email marketing to promote your sites and affiliate programs. The average app gets 400 uniques per day. So it is easy to see that a substantial amount of traffic and signup can be generated using this method. The software is easy to use and requires little technical ability that most affiliates already know. Priced at $39 it is well worth trying it out. -Get help, when and where you need it. AdMobix is a performance-based advertising agency that hosts mobile ad campaigns. We operate on a CPA (cost per action) basis, which means that advertisers only pay when a lead is generated. Mobile marketing is growing at a tremendous rate, and this is the time to jump on board. Whether you are looking to start marketing on mobile devices, or if you are looking to monetize your WAP pages, SMS lists, or just trying to generate revenue from your Apps, adMobix is the place to be! Sign up at to become an advertiser or a publisher today! Joip Mobile is the new cellular phone application from deltathree that provides low cost calls from mobile phones over GSM as well as Wi-Fi networks .Joip Mobile can be used on the iPhone, Google Android and Nokia Symbian cellular phones. (Windows Mobile operating system and Blackberry coming soon.) With Joip Mobile, our customers can reach out to their family, friends and business contacts worldwide while saving up to 70 percent on their mobile phone bills. Targeted primarily for customers with high international calling volume, or experiencing costly levels of roaming charges, Joip Mobile is a simple solution to access lower calling rates using an existing mobile phone. Joip Mobile affiliates will be paid 15% based on revenue. Sponsormob was the first affiliate network for the mobile web and has been in operation since 2007. They have offers all over the world and are most active in the US, UK, Canada, and western Europe. With this network, publishers can turn their smartphones and feature-phone traffic into actual sales. Sponsormob offers their publishers sub ID tracking and their statistics are updated on an hourly basis. This network has the ability to give you detailed information, including location of traffic, handset models, and mobile carriers. Reactee allows visitors to create a custom shirt that really texts back. Customers create a free text-back account and choose a username that will be printed on the shirt. Whenever that username is texted to the text-back account system, a text is sent to the recipient containing the text info submitted by the customer. Affiliates earn 20% per sale and 20% on all sub-Affiliate commissions. We have a great new ringtone application. It's very unique and allows our users to be the DJ and create their own ringtones using thousands of original music clips. Affiliates can use banners to send traffic to our site or integrate the application directly onto their site. Having the application on your site will increase visitor stay and have them coming back as well. The app is alot of fun, visitors will spend hours creating the perfect ringtone. We pay 20% for each sale. We always pay on time and have a great system you can use to track your progress. Earn 55% Residual commission on every sale generated by you!!! Great service to promote, no competition. 3 Billion cell phone users worldwide; huge market! Short inspirational and motivational messages delivered right to subscriber's cell phone, helping them move closer each day towards the potential that they are. Help them start their day positively with an inspirational daily quote or inspirational saying, delivered at the moment they choose, right to their cell phone, by SMS. PhoneDownloadCenter You can make $1,000 a day!!! Free Affiliate Tools! www.partnerwelcome.com Phone Download Center, Phone Music Movie Mp3 Game Download Nokia Iphone Ipod Zune Game Iphone Wii Playstation Tv Satillite Tv Psp Tv Shows, Anime Google / Yahoo / Msn Ppc Tracking. 75% Commission, Low Refund Rates And High Conversions. With Synkia You will earn from each payment done by clients acquired via Your portal. Our best partners, who exceed sales thresholds, earn up to 30% commission! Minimum commission is 20%. Synkia is an easy to use information management service for your mobile phone. With Synkia you can back up contacts, calendar appointments, tasks, sms'es and notes by a click of a button. If your phone is lost, stolen or breaks down you can easily restore the information on the new phone. If you have several phones you can use the service to synchronize information between them all phones will have the same contacts, appointments, etc. In addition you can log in at www.synkia.com to view, add and modify your data. The next time you synchronize the changes will be transferred to your phone. Instant Mobile phone unlocking = £2.50 commission. Insurance = £15/sale. Phones = £30/£25. Accessories = 10%. PLUS 2-tier system - earn from the sales of the affiliates you introduce - FOREVER! Free to join. Text Message Marketing is Exploding. Get in on the ground floor of this once in a lifetime opportunity. Promo2Cell.com pays up to 30% commission offering reliable tracking, real-time statistics, marketing tips, banners, and support. 2-tier. Payments every 2 weeks. The service is about sending live scores to cell phones. It works best on sports sites, but during the test period we saw excellent conversions on mobile related sites (general, ringtone, games). Although it is targeting European users we got sign-ups from Asia and South America as well. Basically anywhere, where football (soccer) is watched. $50 for Cell Phone Activations (AN INDUSTRY HIGH). Plus, 10% Bonus for 30 phones activated in any month. A host of HIGH CONVERTING creatives and individual phone links for custom look to match your site. 24 hour Affiliate Reporting console. Full Affiliate Support.